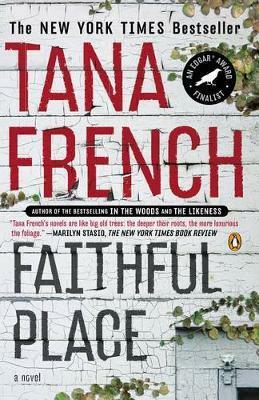 From Tana French, “the most interesting, most important crime novelist to emerge in the past 10 years” (The Washington Post), the bestseller called “the most stunning of her books”(The New York Times) and a finalist for the Edgar Award. Don’t miss her newest, The Trespasser, now available. Back in 1985, Frank Mackey was a nineteen-year-old kid with a dream of escaping hisi family’s cramped flat on Faithful Place and running away to London with his girl, Rosie Daly. But on the night they were supposed to leave, Rosie didn’t show. Frank took it for granted that she’d dumped him-probably because of his alcoholic father, nutcase mother, and generally dysfunctional family. He never went home again. Neither did Rosie. 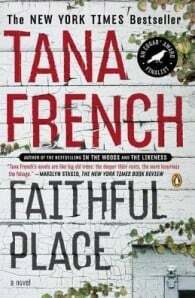 Then, twenty-two years later, Rosie’s suitcase shows up behind a fireplace in a derelict house on Faithful Place, and Frank, now a detective in the Dublin Undercover squad, is going home whether he likes it or not.